Puerto Rico is still struggling weeks after two powerful hurricanes last month�the territory's Electric Power Authority said Wednesday morning that power service was at 25%�but, thanks to Tesla, electricity has been restored at a San Juan children's hospital. 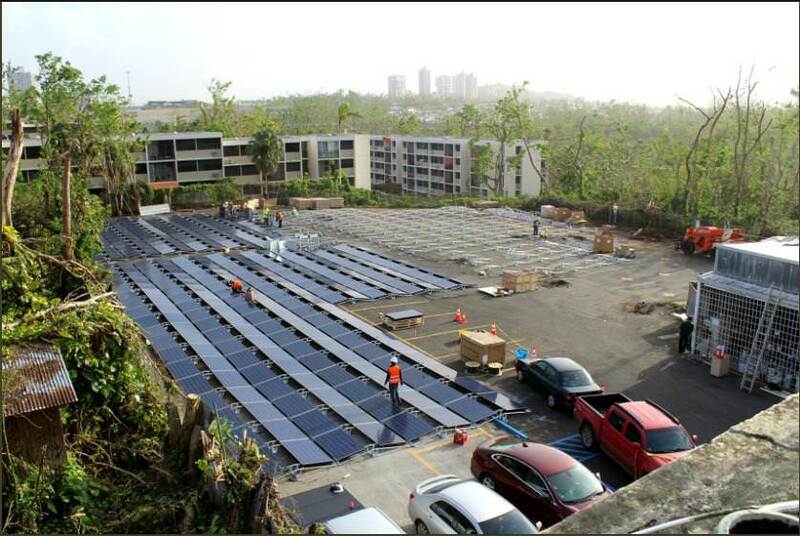 The company used its solar panels and batteries to create a solar array in a parking lot next to Hospital del Niño that generates all the energy the hospital needs, reports NPR, citing local media. Tesla tweeted pictures of the array this week, calling the project the "first of many solar+storage projects going live" in Puerto Rico. For now, the head of the hospital says, the setup is a donation, but a deal could eventually make it permanent after the crisis has passed. Rebuilding Puerto Rico's power grid could take months and cost as much as $5 billion, but other companies are similarly stepping in to help; Google's parent company, for example, has helped to restore internet service. Last week, the Electric Power Authority signed a contract with a small and somewhat new company to restore the power grid, causing some concern; on Wednesday, it was announced that retired Air Force Col. Noel Zamot has been appointed to oversee the grid's restoration, the AP reports. "We are deeply concerned both about why and how a small, inexperienced firm was tasked with the massive job of rebuilding Puerto Rico's devastated electrical grid," Nancy Pelosi said in a statement, praising Zamot's appointment and ability to provide additional scrutiny of the process.